The festival grounds are all on one level in a city park. I believe it is all to code, but don’t know that there is a handicap parking spot for the park. There are three banks within one block and I believe they have handicap parking. The festival grounds have always had a handicap accessible porta-potty. We added a new handicap ramp to the winery a few years ago so there is access, but it is a very busy day so please plan to deal with crowds. The self-guided tour goes into our tunnels – accessible – but you may need a helper to open the tunnel door as it is double hinged and heavy (installed in the 60s). Wine tasting is complimentary and on the grass in front of the winery in a tent. Vintage wine tasting in our production building is accessible via a ramp, but it is a forklift driveway so it’s a bit steep. If it is too steep for you please let us know and we’ll open up our press pad door for you. Please feel free to call me if you have any more questions or concerns at 920-487-5208 ext 101. 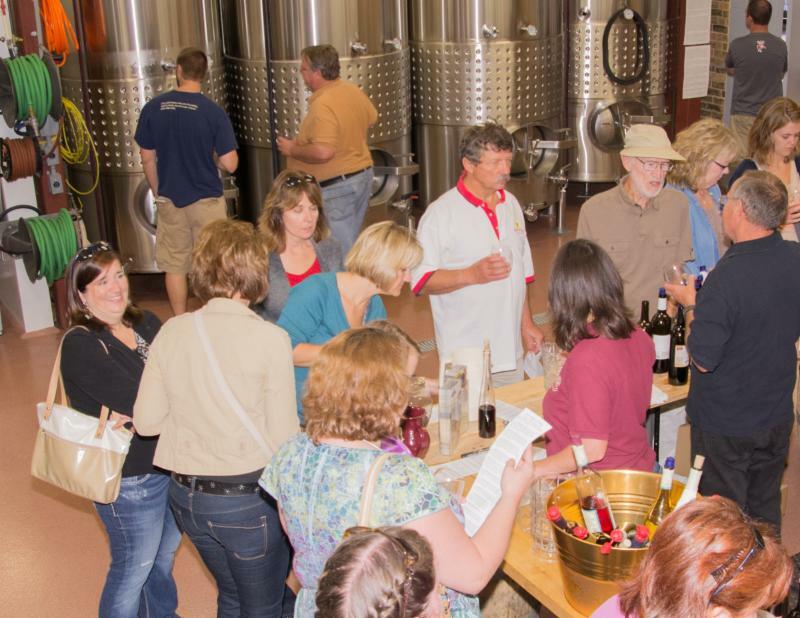 We’d like to do our best to make your experience at our festival and winery the very best that it can be. Thank you for hosting Wet Whistle ’15! This year’s wine fest was wonderful. Great wine and great music! The Groove Hogs! Incredible. Attendance seemed to be increased this year. A very good thing, however the festival area was very cramped this year. There wasn’t enough seating areas or places to set chairs. Cigar and cigarette smoke was overwhelming and inescapable in such close proximity. Personally, I have a lot of problems with my legs. I can’t stand more than 10 or 15 minutes. I also have asthma. It really is difficult for me to complain, but I so enjoy the wine festival and would love to be able to return. Please consider a larger gathering area for next year. The experience would be so much better; and certainly you would sell more wine if people could more easily reach the beverage tent. Again, thank you for hosting the wonderful wine festival. Thank you for sharing your thoughts with us. The festival is run by the Algoma Main Street program, so I’ll pass along your suggestions to that committee. They are very good suggestions.